Since 9/11, 2.4 million brave women and men have deployed around the world in support of the Global War on Terrorism. With improvements in medicine and technology, the percentage of those surviving their injuries and returning with service-connected disabilities is staggering. These veterans struggle daily with the aftermath of their physical sacrifices made on the battlefield. 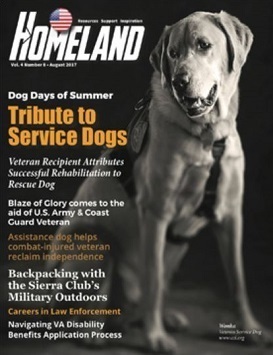 In the August 2017 issue of Homeland Magazine, Wounded Warrior Project® National Service Director John Roberts goes into compelling detail about the stakes for service members whent they apply for disability benefits.